We listen to a lot of music every day, but most of the music format is MP3. Because of its small file size and sound quality, this format is now the main audio format. 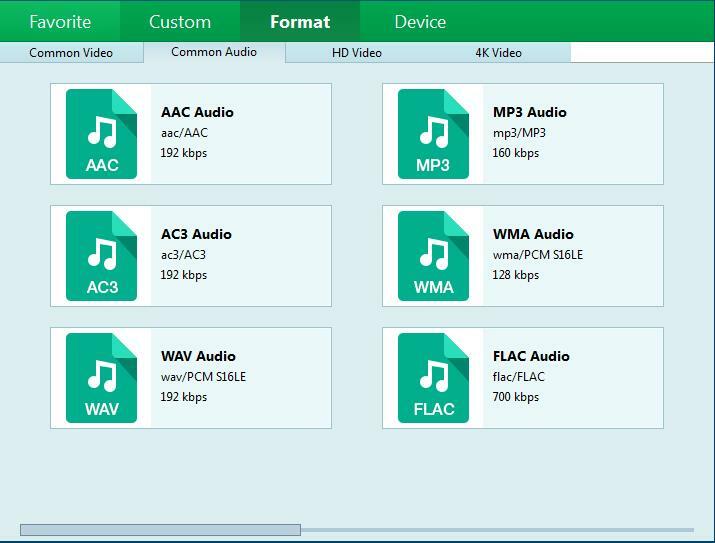 MP3 is an audio compression technology, its full name is Moving Picture Experts Group Audio Layer III. It was invented and standardized in 1991 by, a group of engineers in Fraunhofer – Gesellschaft, a research group in Erlangen, Germany. It is designed to significantly reduce the amount of audio data. In that MP3, the time domain waveform signal is transform into a frequency domain signal by using the characteristic that the human ear is insensitive to the high frequency sound signal. This technique uses different compression rates for different frequency bands, high compression ratio for high frequency, low compression ratio for low frequency signal, and ensures signal distortion. The sound quality of playback for most users is less than that of the original uncompressed audio. In contrast, WAV format is a voice file format developed by Microsoft Corporation, also called waveform sound file, is the earliest digital audio format, is widely supported by Windows platform and its applications. However, WAV formats are larger in size, sometimes we do not have so much space for the audio. MP3 in exchange for smaller files volume but sacrificed the quality of music files. Especially, the quality of audio parts from 12 kHz to 16 kHz in sound files. In real life, we may want to play high – quality songs on CDs , but we only have audio in MP3 format. This time you may wish to burn a DVD audio disc so that you can play the files on your DVD player. There are many software for format conversion, but few software can be changed from MP3 to DVD directly. 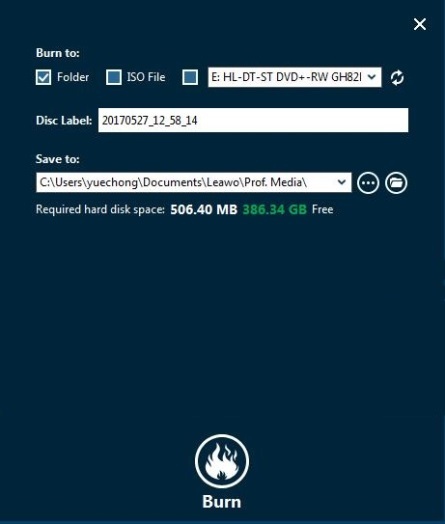 To burn MP3 to DVD, we need two steps. The first one is to convert the audio into a video. Then, convert the video into a DVD. 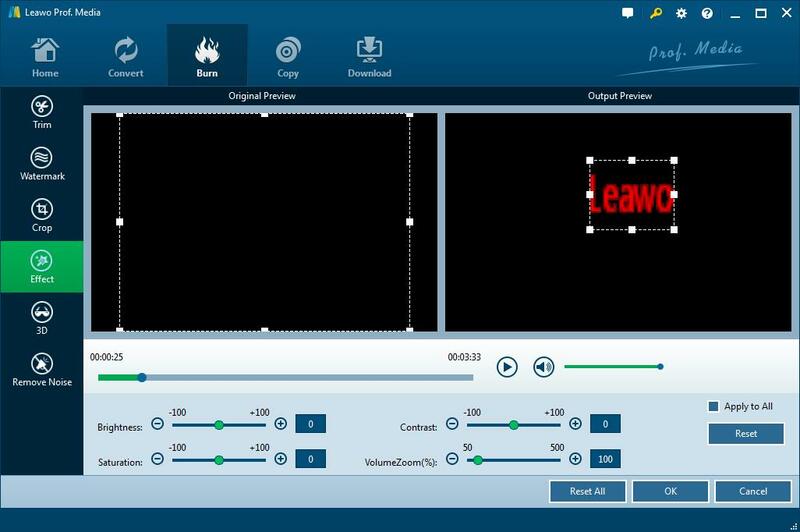 We need a format conversion software to help us convert mp3 to DVD such as the Leawo Video Converter, Format Factory, Cat of all – powerful converters, etc. 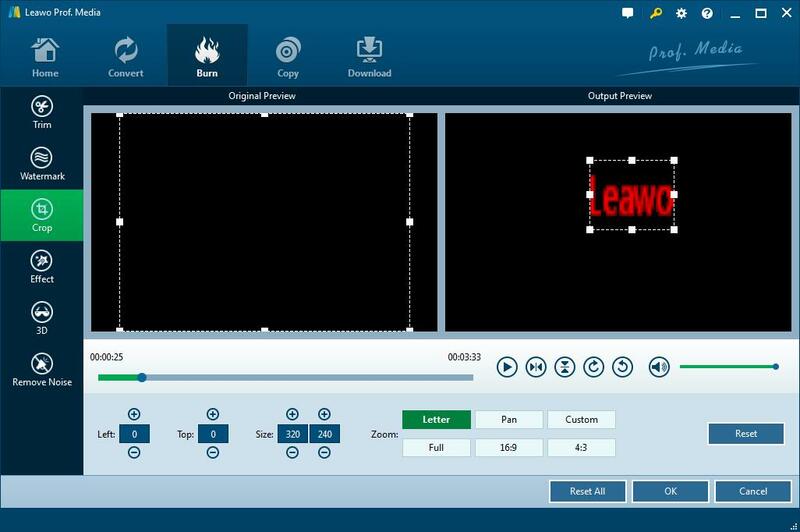 The Leawo Video Converter is software which combines many functions. As we can see, the software interface is very simple and beautiful. It is easy entry for beginners. In comparison, the Format Factory’s interfaces and operations are very complex. As a first – time user, it takes time to learn to use it. 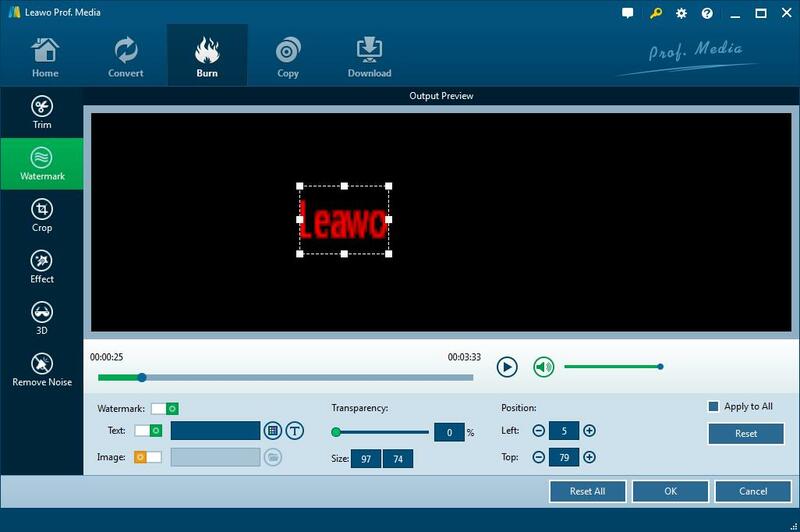 So we’ll choose to use the the Leawo Video Converter first. 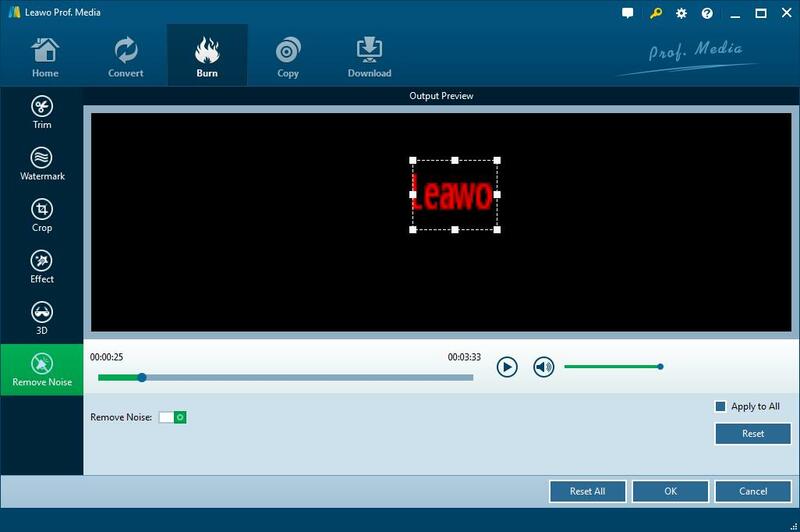 We will show you how to use the Leawo Video Converter to convert MP3 to DVD formats. Firstly, prepare the audio files that you want to burn, we use a song named “Maksim Mrvica – Victory.mp3″ as an examples. We use the Video Converter function to realize the transformation from audio to video file. 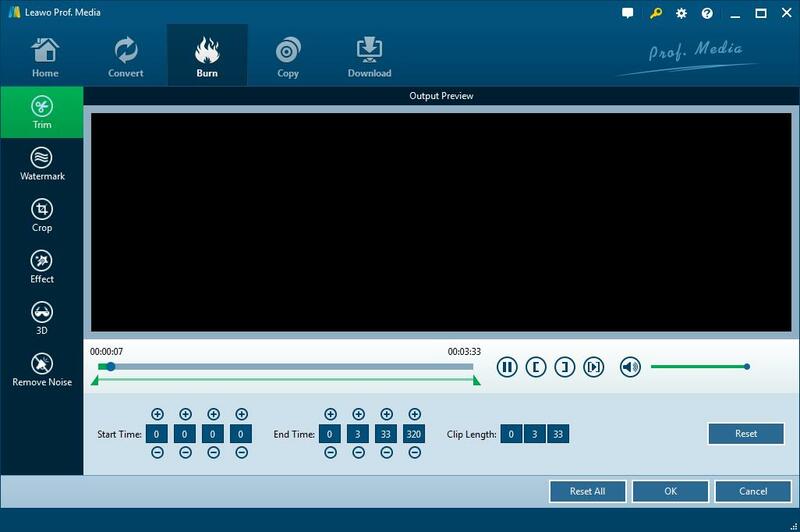 After we click the Video Converter, we will enter the following interface. Click the add video and then the add video file to find the audio where you put. 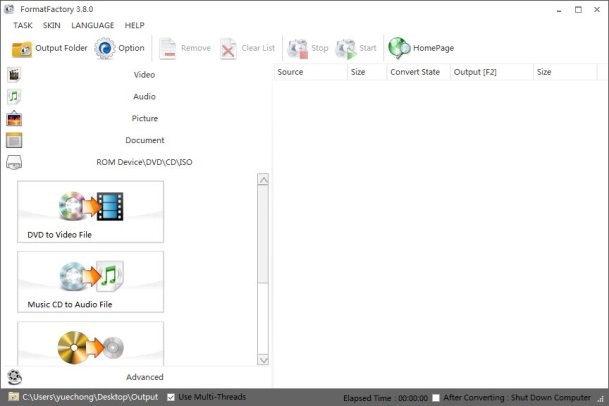 After you import the audio, you can change the format you need to convert. 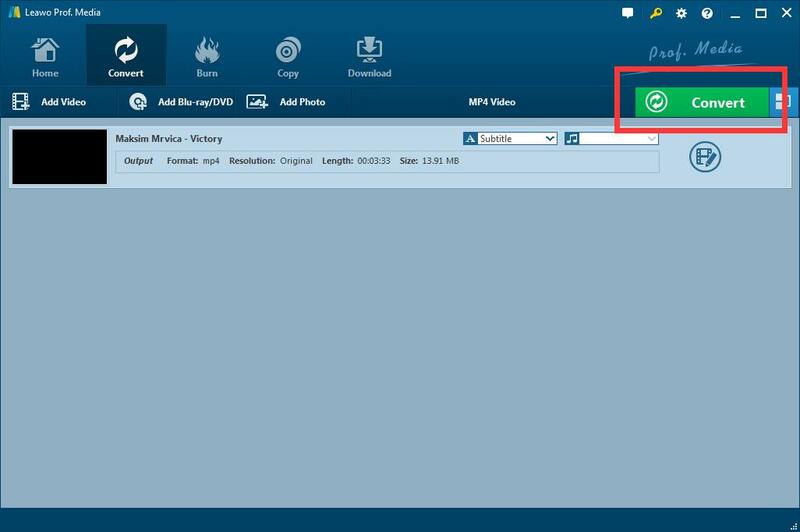 As shown below, you can click the MP4 Video, then click the change button. 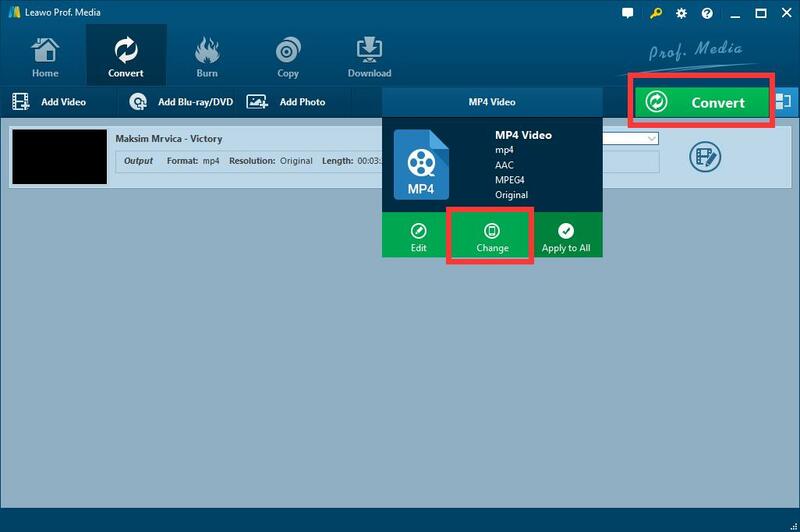 After you click the change button, you may find that there are many formats available in the software, such as mp4, mkv, avi, rmvb in common video and wav, wma, mkv and so on in common audio. You can choose what you need. We take the MP4 Video as an example. After you finish all setting, click the Convert button in green. 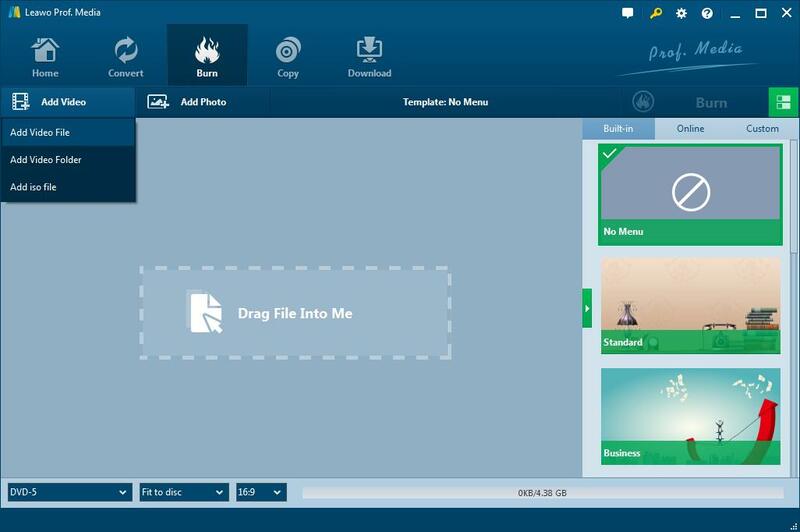 Select file save path and click the lowest conversion button, the file format achieves automatic conversion. 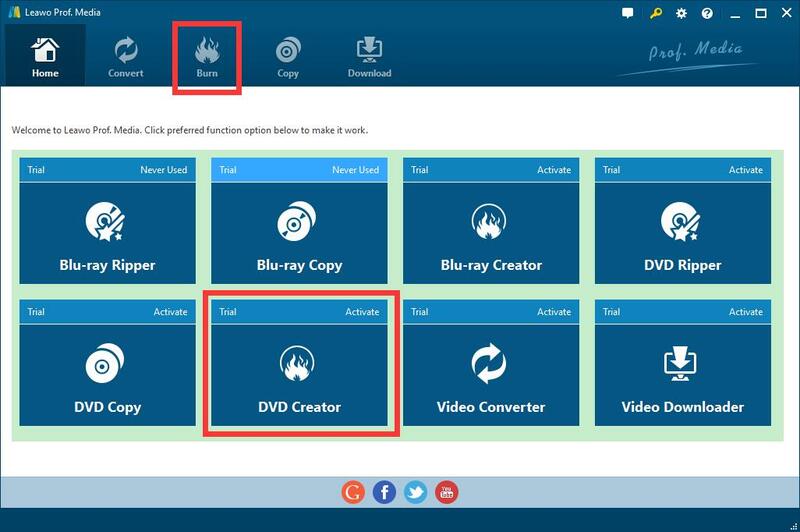 Then we need to burn the video to DVD, we need to click the DVD Creator button, as you can see, there are two way for you to choose. Data import operations are simple, click the add video button and choose the video you have converted above. Video quality after conversion is realized by adjusting the pull down option in the lower left corner. There are six functions for different operations on the audio. The Trim function can help you set the start time, the end time. So you can modify the file properly and reduce the amount you do not need. 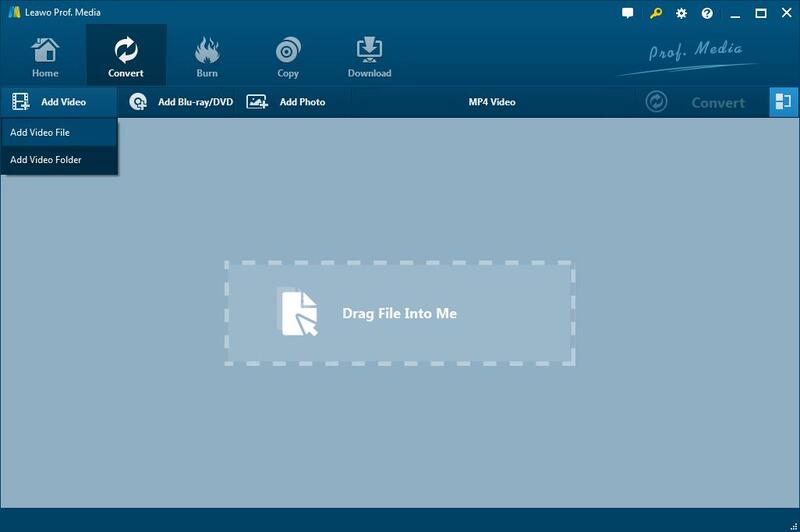 The Watermark can help you add text or image on the video. You can modify the size and location of the text through the following settings. You can tailor the size of the interface by the crop operation. The Effect can help you set the brightness, saturation, contrast, volumeZoom. The 3D can help you set the 3D model, you can choose the model that best for you. The Remove noise can help you remove the sound that not belong to your video. After you finish all setting, click the Burn button in green. 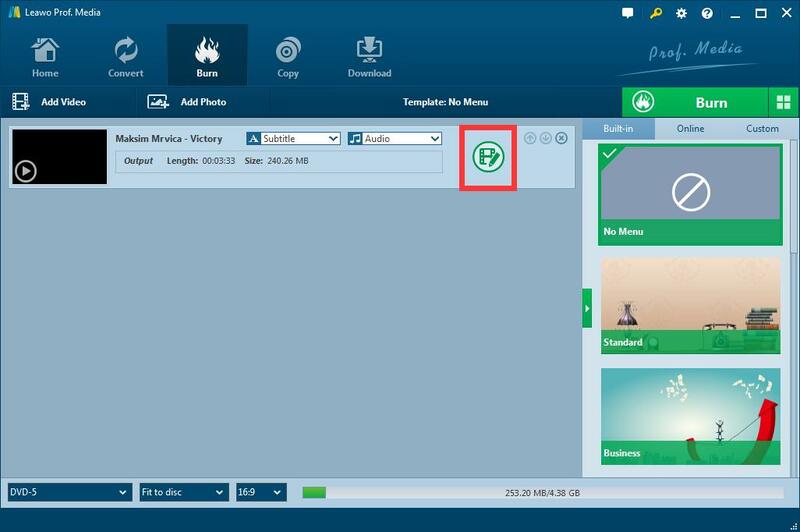 Modify the name of the file and select file save path and click the lowest burn button, the file format achieves automatic conversion. 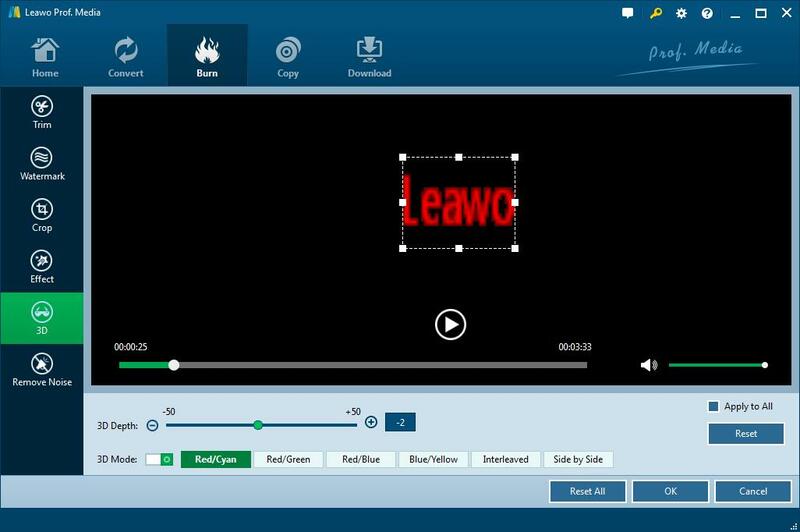 As we can see, the Leawo DVD Creator is a useful software. Firstly, the software interface design is very simple and beautiful, which is very suitable for people who use the software for the first time. Secondly, the software is powerful and can meet the requirements of different people. Especially when you are converting MP3 to DVD, few software can be as rapid as it is. 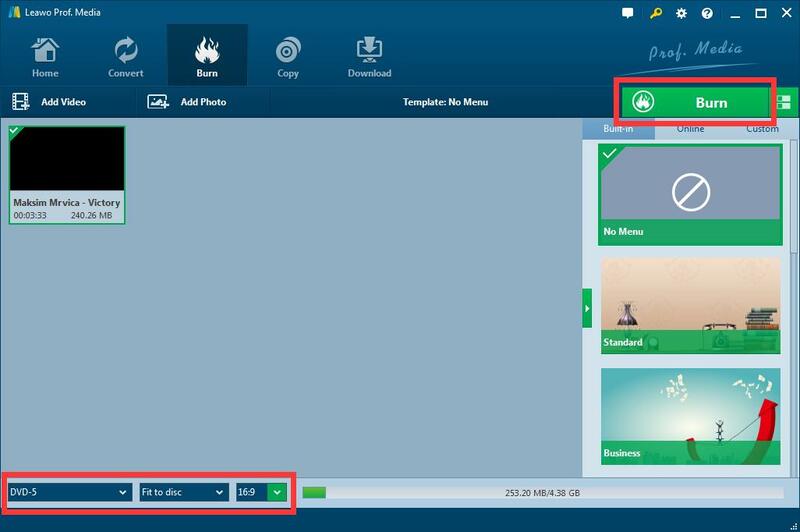 Through simple interface operation, we can meet the operation of video editing, adding text, adding pictures, removing noise and so on. 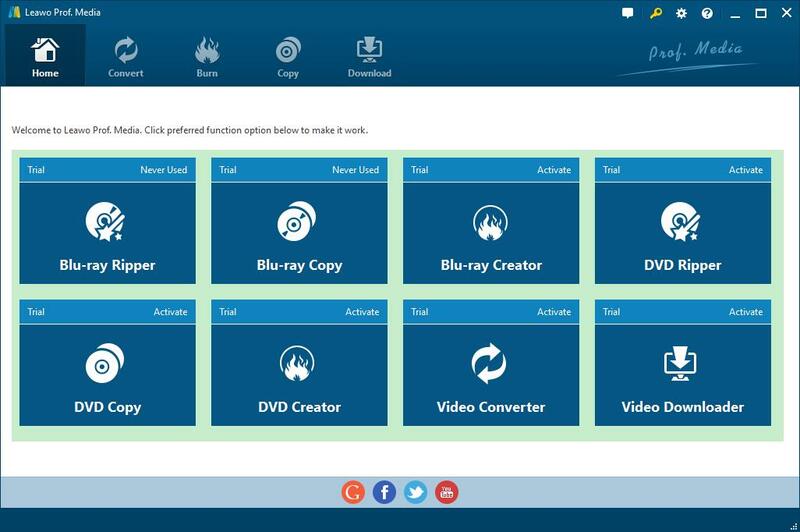 It also supports the vast majority of audio and video file types that meet the problem of format conversion for different groups of people. The software is worth it.